Summers and sunscreens go hand in hand. The Sun, be it any season, can do so much damage to your skin that you can’t even comprehend. Imagine walking out of you house during the flaming summers without any protection from its rays! Sun screens need to be incorporated into your daily routine to ensure that the skin stays good and supple for the years to come. 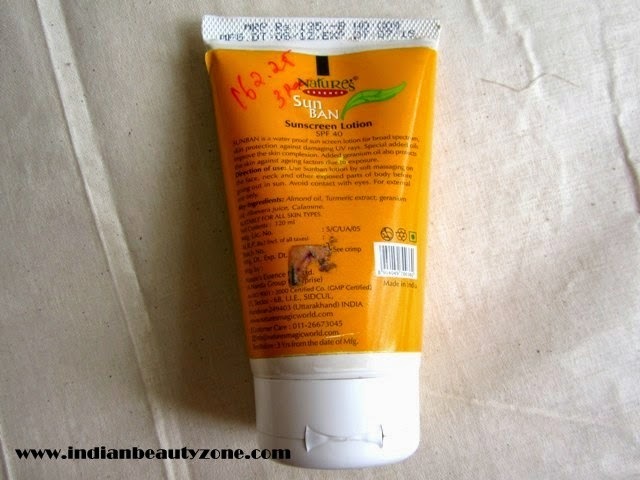 Now this sunscreen lotion was bought by me in order to cater to the needs of my exposed arms and legs. Let me tell you how I liked it. Almond oil, Turmeric extract, Geranium Oil, Aloevera juice, Calamine. It comes in a white plastic fat tube that is of a good quality. The flip type cap closes well but there is some accumulation near the nozzle if the tube is kept upright. There is nothing that is attractive or fancy about the packaging. The product has a creamy consistency and is pale yellow in color. The cream is not too thick. There is a herbal fragrance to this product which seems to indicate that it is natural for the most part. The smell is not bothersome though. The sunscreen spreads easily on the skin but it needs to be massaged for some time before it gets soaked into the skin. This part is a bit frustrating for me and it would have been better if it had gotten absorbed quickly. Anyway, after that my hands don’t feel greasy and there is no white cast also. It also prevented my skin from getting tanned any further. Another good thing about this product is that it not tested on animals. A let down is that it doesn’t have the complete ingredient list. I am skeptical about using this on my pimple prone facial skin because of this. I am happy with the Lotus 3-in-1 matte sunscreen for my face. 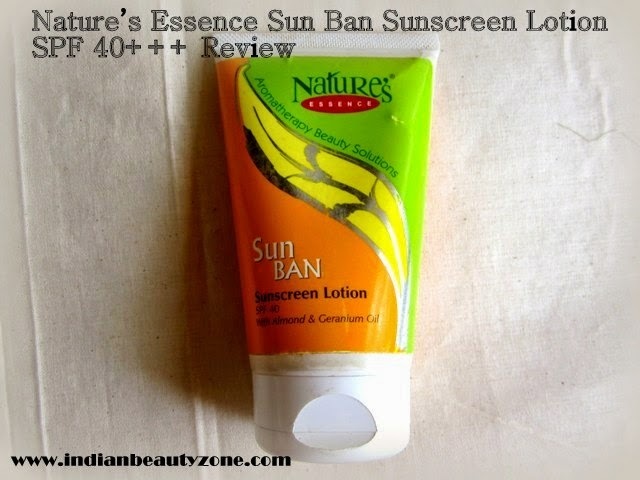 This nature’s essence sunscreen will be great for dry facial skinned girls I think. This one should fare extremely well as a body sunscreen product. The low cost for a high SPF level comes as a steal. 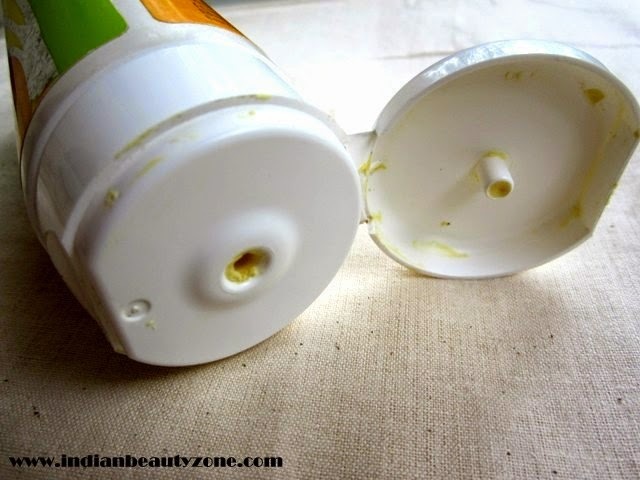 Give it a try if you are looking for a skin care product that doesn’t burn a hole in your pocket. It is best suitable for dry skin girls. 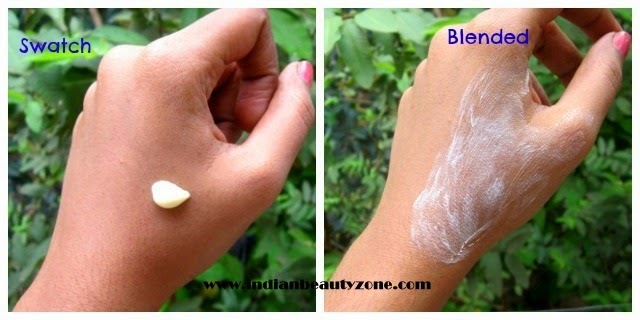 Oh this looks great for dry skin..am surely going to try this out. Sounds like a nice sunscreen lotion! Could u please tell me on which online site can I buy the nature's essence products from please.